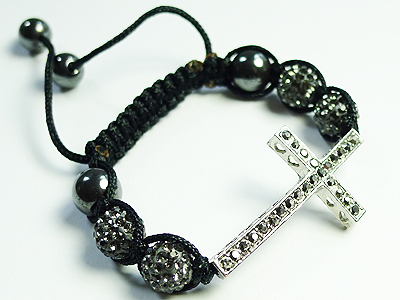 Shamballa casting cross component with crystal, white gold plated. Color of crystal: jet and hematite. Contains 2 pieces in each bag, .